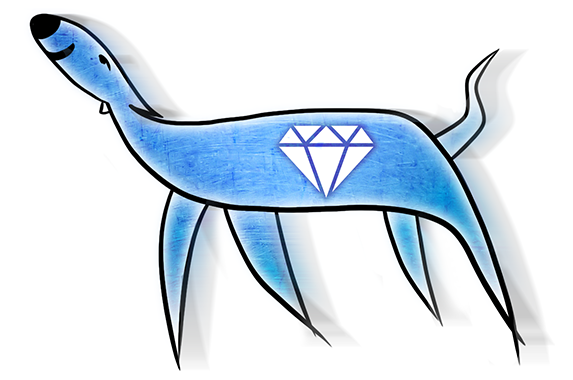 Diamond Dog Dasher – A girl traveling the globe, whispering to dogs and cats. Bats 🦇!!! Post for Homeschoolers! 1. All bats are mammals. 2. Bats are nocturnal, a word that means sleep at day, and are awake at night! 3. Bats can fly better than birds 🐦, because of their long spread-out digits covered with a thin membrane! The membrane in the wings is called patagium. 4. Bats have sort of a bad reputation to some people. It would mean a lot to me if you told your friends about these facts: it could change their minds! 6. This pic is going to be of a vampire bat! No, don’t be afraid! The mini blood-suckers are not everywhere!! They are just in some places. Now, for the picture! A while ago, we were in the Cotswolds housesitting. (See my blog about the Cotswolds.) We looked after a cat. And the cat was indoor-outdoor. One night, the cat brought my dad a surprise… a not-at-all bloody, dead bat! The next morning, I awoke to instantly inspect it, with a magnifying glass 🔍! This blogpost was really fun, and it took me a while so I hope you liked it! You can see my sneakers, but the costume didn’t have shoes! My Uncle Kenny is pretty crazy 😜 about Halloween 🎃. He makes his driveway a spooky HAUNTED HOUSE. And I admit, it was very scary. In fact, it was so scary it was fun! Why was it the best Halloween ever? 1. I got to help! I scared little kids when they walked by me. 2. I got to finally trick-or-treat for the first time! 4. I got to see my Uncle Kenny, my Aunt Yolanda, my cousins Jhase, Deven, and Olivia! And my uncle’s first wife came too, Aunt Gale. She attacked me with kisses 😽. and hissing. The little kid froze, and ran to the exit of the haunted house. I watched carefully for him to leave, then chuckled. They let me help with lots of scaring, but my Uncle always goes all out, so that was fun. to draw people into the tornado of terror haunted house!) was walking up the driveway. He turned, and “noped” right out of there!! fun blogpost to write and make! Wherever you are, I wish you a happy holiday! And the best Christmas things are: drumroll! Ugly Sweaters 🧶🧵!!! I won’t say it now since it hasn’t happened 😏, but there will be a part 3 in my Denmark series coming! I hope you’ve enjoyed this and all the previous posts, but there are more ideas coming and I cannot wait to blog them! 👩🏻‍💻. I will see you all later, and bye! Hey! My Dad has a brand new book out called Evelyn Engineer and the Lighting Treasure! Here’s a link for the Kindle. And here’s a link for the print. It’s a new kind called the Chronicles, so it’s not a main, series book. It’s a book that focuses on the character, Evelyn Engineer! I like that it’s about my favorite character, Evelyn! She makes lots of cool things! And it’s really fun to read! Now those are some great things somebody would be looking for in a book, hmm? Here’s a picture of the book: my dad illustrated it! My blogposts have been a little short, I admit, but I know I really need to catch up! So bye for now, but I’ll be working on another super soon!! Hey! Remember my blog about STEAMTeam5? Well this is about the second book in the series! The girls in the series are amazing role models! And last but definitely not least, it gets girls excited 😆 for science 🧪!!! Some pretty good things about a book, huh? Here’s a link to Steamteam5.com! You can get it on amazon… Kindle or Paperback. It’ll make an AMAZING holiday gift! Sorry that was one of my smaller posts, but I’ve got zillions of ideas coming! Bye bye bye, butterfly 🦋!